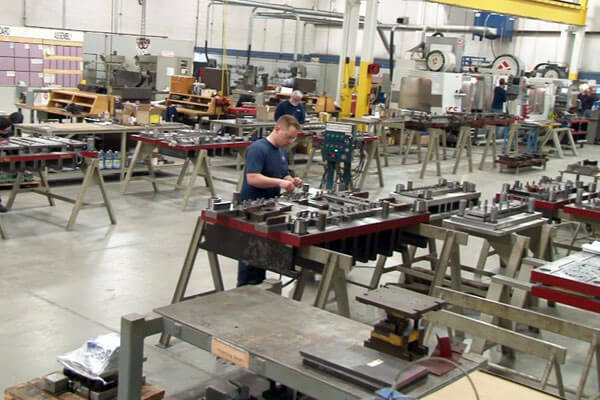 Discover how we build and maintain innovative tools and dies that reduce your costs, increase repeatability and deliver high-quality, defect-free parts. 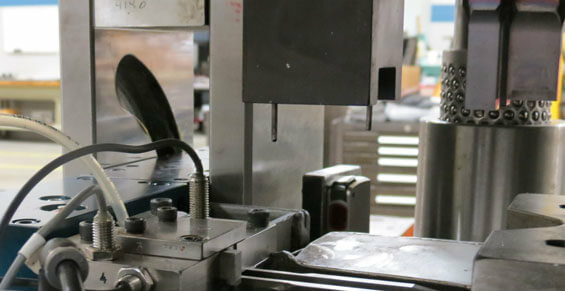 Technology and craftsmanship drive our die building capabilities that continuously improve die functionality and longevity for OEM customers and in-house stamping jobs. 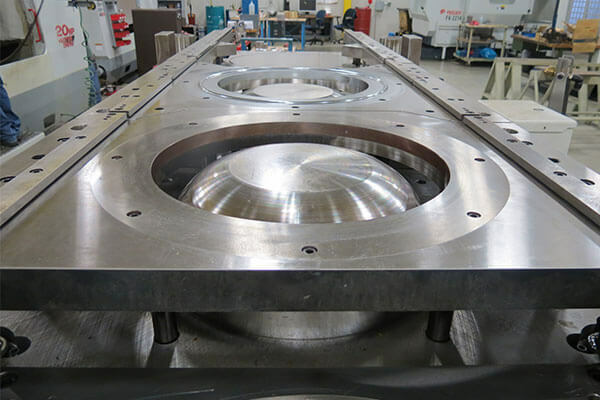 Working side-by-side with Design Assistance ensures dies are built to specification utilizing the most cost-effective methods. 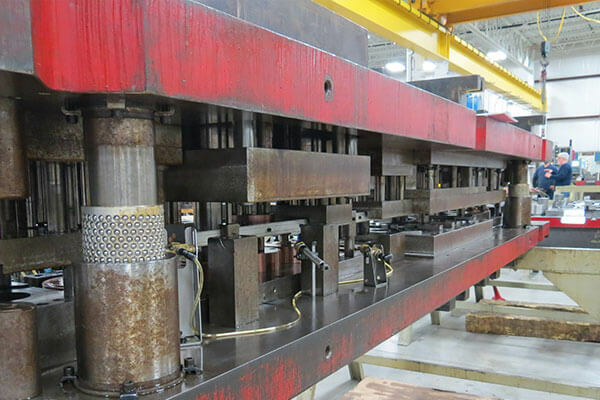 We have the technology and hands-on expertise to manufacture everything from simple tooling projects to complex progressive dies that are up to 168 inches long. 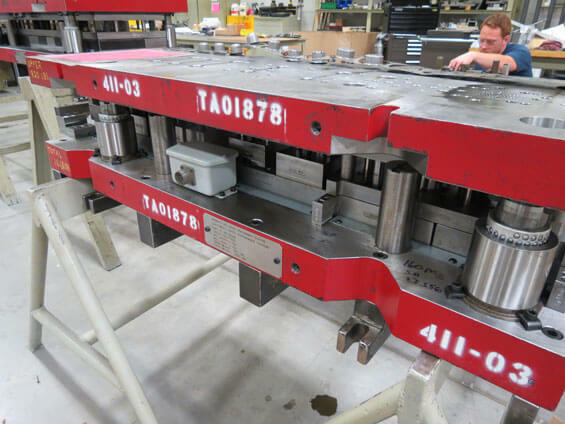 We incorporate sensors into every die utilized in our stamping presses. Ultra’s sensor technology provides critical information throughout production and provides immediate alerts when issues arise during stamping. Customized sensor strategies combined with our press control system allow for immediate shutdowns when a problem is detected in the die. The lost time and money that can occur from a mishit needs to be avoided on every production run. Ultra’s sensor application team is focused on precision and innovation and continues to lead with improvements in the following areas. 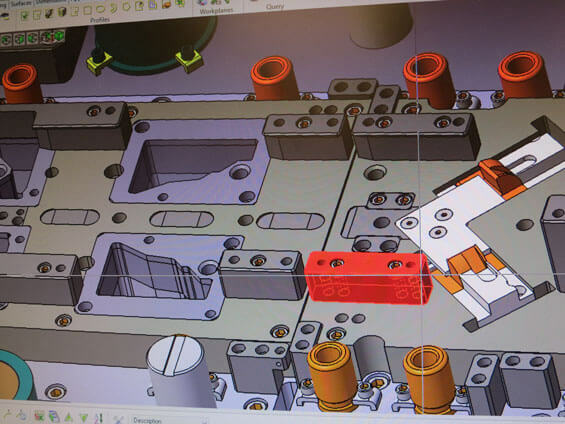 We use state-of-the-art software by VISI-Design to create complete and accurate die, gauge and fixture designs in 3D. This design technology delivers precise instructions to all those on the tooling floor. The die design and building process is all encompassing and no detail can be overlooked. 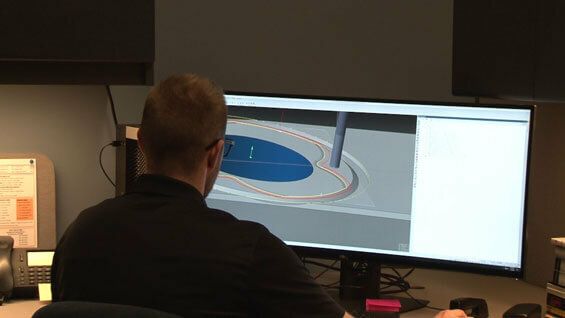 And that is why we have a pre-build meeting to establish a cooperative approach with all facets of the tooling department: CNC operators, Wire EDM operators, programmers, designers and toolmakers. This process communicates design changes easily and ensures 100% consistency and precision throughout a project. 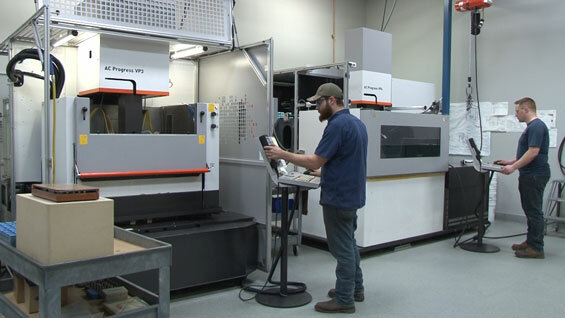 Programming begins the CNC process and is critical to delivering quality and precision components for each project. A 2D or 3D CAM model is created utilizing our VISI software for a continuous transition from the design to the actual building process. This provides step-by-step instructions for the operator as they build each die component; including the precise tools to use with set dimensions. And the flexibility of CNC programming allows for easy modifications as needed. 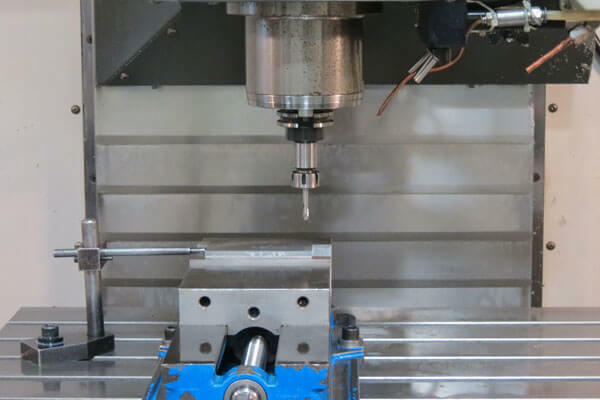 A dedicated space in the Tool Room with specific temperature and sanitary regulations maintains a consistent, high-quality manufacturing environment that houses three Wire EDM machines . The technology of this equipment delivers higher accuracy and has less impact on the material when producing specific shapes compared to standard CNC machines. 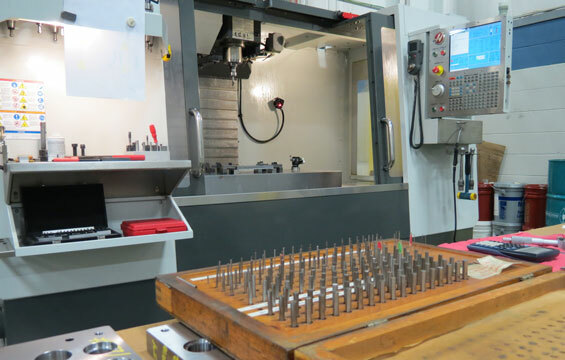 We continue to make our tool shop modern with additional state-of-the-art CNC equipment ranging in size, power and variety of applications. The table size of our recently added Double Column Bridge Mill Feeler (55” x 85”) accepts larger projects and is loader-friendly; a big time-saver! 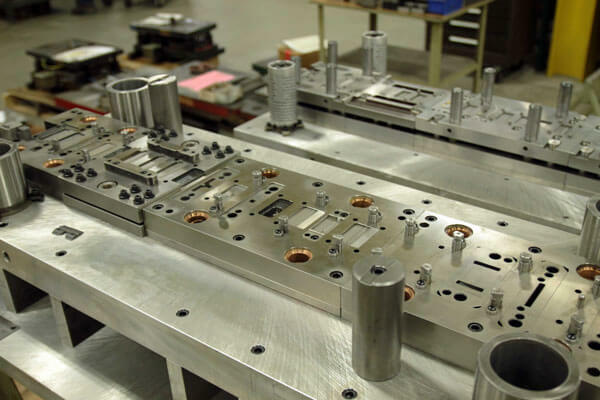 We guarantee quick turnarounds for prototypes to intricate components with our equipment, experienced operators and advanced programming. 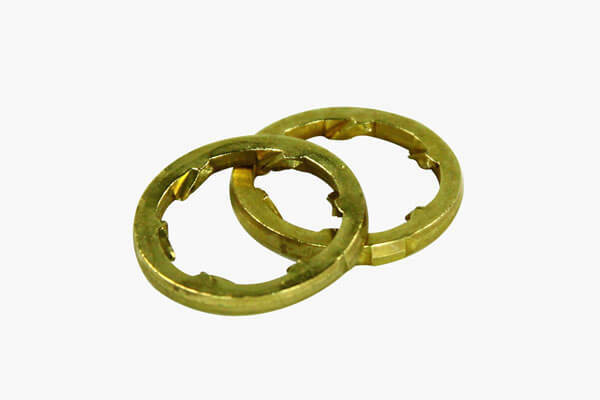 Handle a variety of materials including bronze, gold and silver. Polymers such as ABS, polycarbonate and PTFE can also be used. 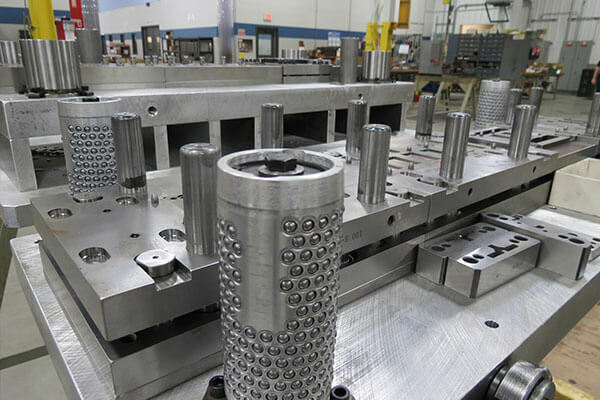 Our TOP priority in the die maintenance area is protecting your tooling investment. Routine preventive tasks are critical to die longevity and performance. 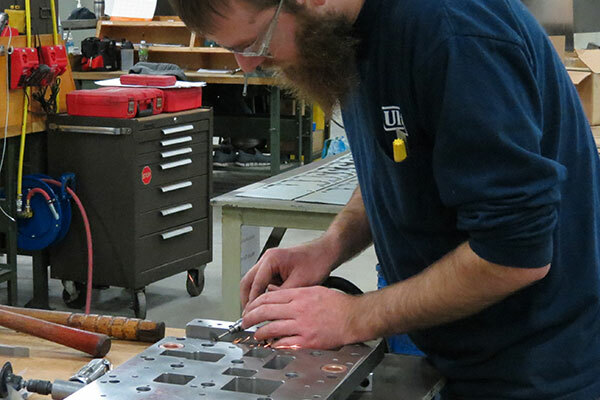 We can handle the most complex dies and pinpoint the source of a problem on tooling that isn’t originally built at Ultra. Even with our 100% commitment to preventive efforts; dies crashes still do occur. And this is where our experienced toolmakers can review a situation quickly, identify the issue and fix the die in a timely manner. 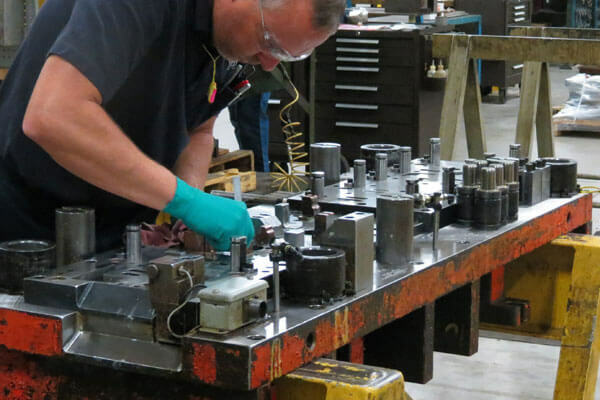 Standard and customized checklists guide each die that is serviced in our department to ensure precision work is completed and that no die component is overlooked. 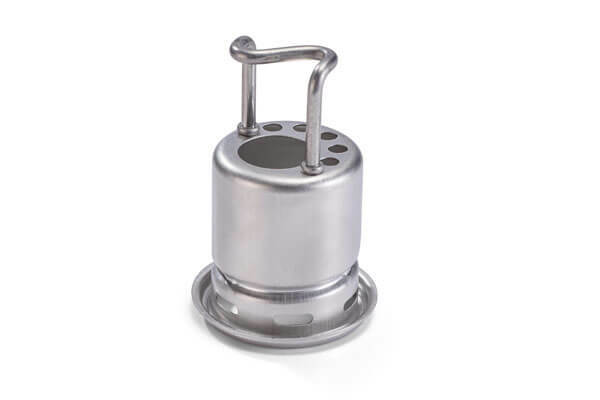 Customized criteria are determined by die complexity and the type of production job. Stamping hits for each job are maintained in our cloud-based ERP system and our die maintenance manager is alerted when service is required.